The Indiana State Library’s Oversize Photograph Collection is now arranged, digitized and described, making it accessible both physically and online via ISL’s Digital Collections. The project began in early 2017 with a survey of all existing oversize photographs and a plan to arrange them all in one location and then describe, digitize and encapsulate the photographs. Previously, the photographs were stored in three separate locations according to size, but this organization was both inconsistent and unsustainable. The collection was also treated as a catch-all location for other graphic materials, including clippings, maps, artwork and lithographs. To rectify the situation, the project also involved separating out all materials which could not be classified as photographs. Over the next two years, the photographs were meticulously arranged by subject to correspond with the new organization in the General Photograph Collection, which was undergoing its own cleanup and reorganization project. The smaller photographs were captured using a flatbed scanner, while very large photographs, such as panoramic photographs, were photographed using a DLSR camera before they were encapsulated in Melinex, archival-grade polyester film, for long-term preservation. The main challenge in working with oversize photographs is, naturally, their size. The large photographs are physically difficult to handle and are stored in even larger folders. Due to their size, the photographs were often rolled or folded in the past, which can pose new conservation challenges. The final stage in the project entailed describing the images individually and uploading them to the library’s online photograph collection. The themes of images in the collection vary, but some of the most prevalent subjects include portraits of notable people, groups and organizations, and aerial photographs of Indiana and images of state parks. 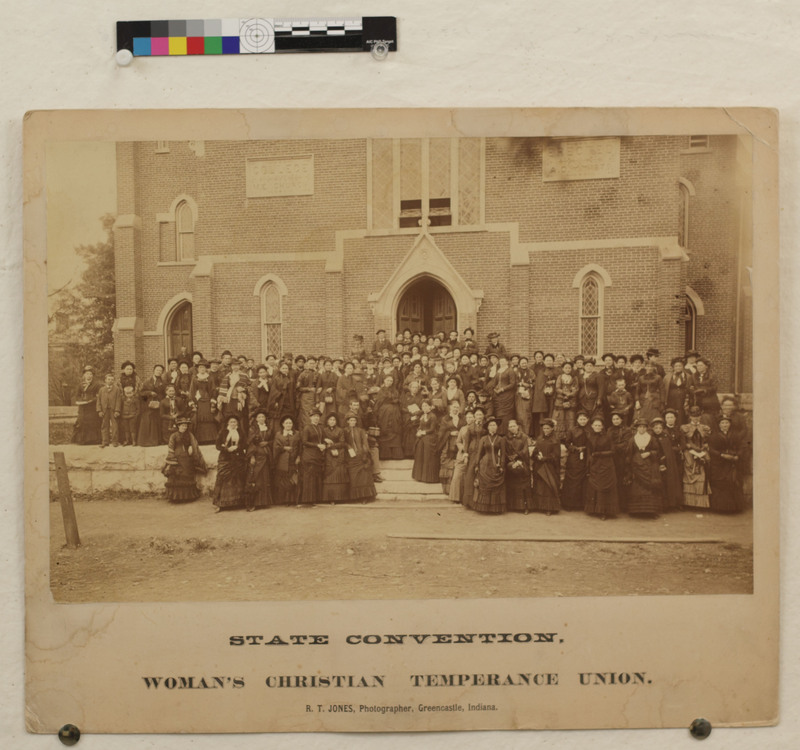 Woman’s Christian Temperance Union, 1883. With the completion of the Oversize Photograph Collection project, nearly 600 photographs are now more accessible and usable than ever before, with 582 available digitally. The project has made physical control of the collection a reality, supported the collection’s longevity by reducing handling of the original photographs, and most importantly, profoundly increased access to the collection for users around the world. I’m not a digitization specialist in even the most generous sense of the word. But I do work with them, and I oversee a grant program that funds some of the projects. 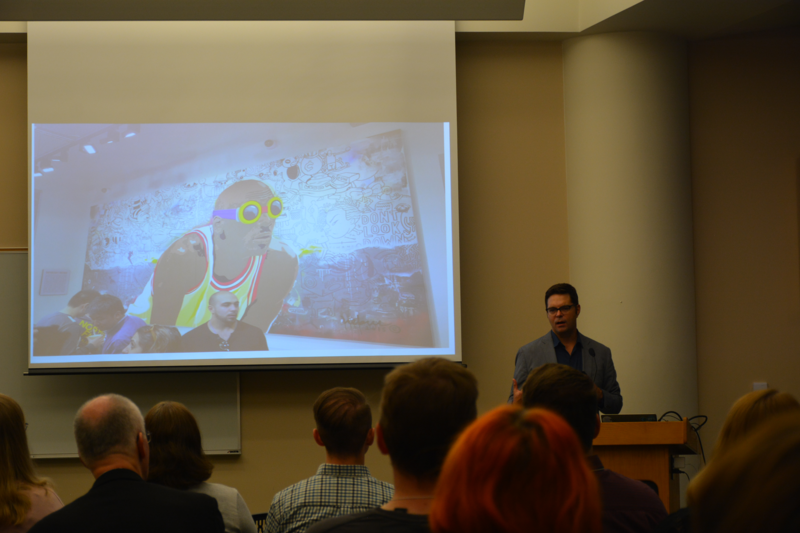 In order to better understand just what those LSTA digitization monies are paying for – and to follow the larger discussions surrounding digitization projects – I attended the fest as an onlooker with a vested interest. Turns out, you don’t have to be an expert to benefit from the expert discussion. Keynote speaker John Bracken, executive director of DPLA, summarized recent studies on children’s increasing internet use, finding it to be a trend parents absolutely needed to embrace if they wanted their child to succeed, while simultaneously being something that should terrify them. The odd juxtaposition got a laugh, but was also a was a fitting segue to a discussion of the necessity of DPLA, and its informational gatekeepers, to adapt to changing technologies and to take quality, vetted content to people at their points of access. There were concurrent breakout sessions on large-scale digitization projects, loosely broken into two tracks: visual resources and manuscripts. Those interested in visual resources were offered sessions on The Iditarod of Photo Digitization: Junior Achievement and Indiana: 1800s Land Records Accessed by Township Address. 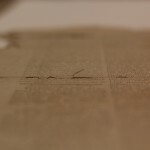 People like myself, who followed the manuscripts, were treated to an overview on the work of digitizing the letters and journals of Saint Mother Theodore Guerin, and one about the challenges inherent in digitizing employee records from the Pullman-Standard Railroad Car Manufacturing Company. And isn’t that food for thought: one day, your employee records, complete with notes on performance issues, could be eagerly set upon by future digital historians, preserved for all the world to see. Decades from now, a room full of scholars could be debating whether your since-expired self has any right to privacy regarding your records, or whether your history of habitual tardiness or not playing well with others now belongs to the annals of history. Or, if we’re travelling down that rabbit hole, consider those journals from the sainted Theodore Guerin. Her letters and journals are darkly humorous, somewhat pointed, deeply personal… and now preserved for future study. They are a wonderful, thought-provoking resource that brings such humanity to this particular bit of history. They are also a reminder that I might want to seriously consider setting fire to all of my overly angsty middle school writings. A break for lunch was followed by some lightning sessions highlighting useful digitization tools and sites, before wrapping up the day with two practical, nuts-and-bolts overviews on issues every digitization project faces: questions of copyright and fair use and best practices for creating useable metadata. The back half of the day gave concrete instructions for people in the field, and an appreciation of the complexity of the issues for observers like me. If you ever thought that digitization merely involved slapping down a page on a scanner and calling it a day – well, this meeting of the minds would disavow you of that idea. My appreciation of the work of digitization continues to grow, as does my need to shred a terribly mortifying childhood diaries. You know… just in case. This blog post was written by Angela Fox, LSTA and federal projects consultant, Indiana State Library. For more information, contact the Library Development Office at 800-451-6028 or via email. This action culminated 18 months of preparatory work undertaken by the Indiana State Library (ISL) and the Cunningham Memorial Library at Indiana State University to create a sustainable digital preservation solution for Indiana’s cultural memory organizations, especially those of modest size and resources. Using Library Services and Technology Act (LSTA) funding, the libraries established a fee-based collaborative group for the sole purpose of joining the MetaArchive Cooperative, a community-owned and governed distributed digital preservation network founded in 2004. As a collaborative member of the MetaArchive Cooperative, Indiana Digital Preservation provides InDiPres participants the means to securely store master digital files in multiple copies at geographically dispersed sites in the United States and Europe for an affordable price. Start-up costs, which includes a three-year MetaArchive collaborative membership and the purchase of the LOCKSS server housed at Indiana State University, were covered by monies received through the 2015-2016 LSTA Special Digitization Project Grant. 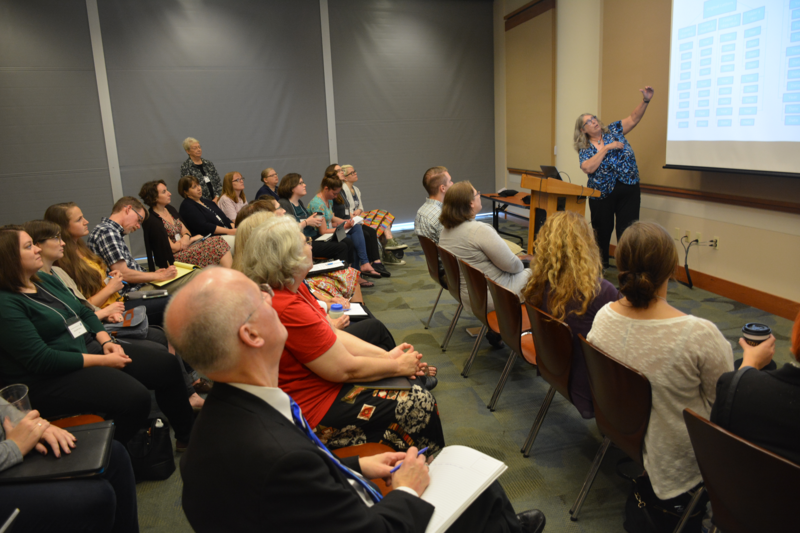 From left to right: Connie Rendfeld (ISL), Cathi Taylor (American Legion Auxiliary), Eric Spall (Lebanon Public Library), Ryan Weir (Rose Hulman), Brooke Cox (DePauw) and Cinda May (Indiana State) at the InDiPres Foundational Meeting on May 17, 2016 at the Indiana State Library. By working together, Indiana’s heritage organizations are able to store multiple copies of master files throughout a global network that monitors the integrity of the files to ensure the survivability of digital content into the future. Members of Indiana Digital Preservation share in the expense of long term storage and preservation of digital assets created by these institutions; particularly those that contribute to Indiana Memory. Based on a model of 20 members, the InDiPres membership fee is $325 per year with a three-year commitment, plus $.59 per GB of storage space based on individual needs. The $325 breaks down to a required $100 participation fee, $125 for a member’s share of the MetaArchive Collaborative membership which costs $2,500 per year and $100 for a share of the InDiPres LOCKSS server at three-year refreshment cycle. These costs are likely to be reduced as more organizations join the endeavor. 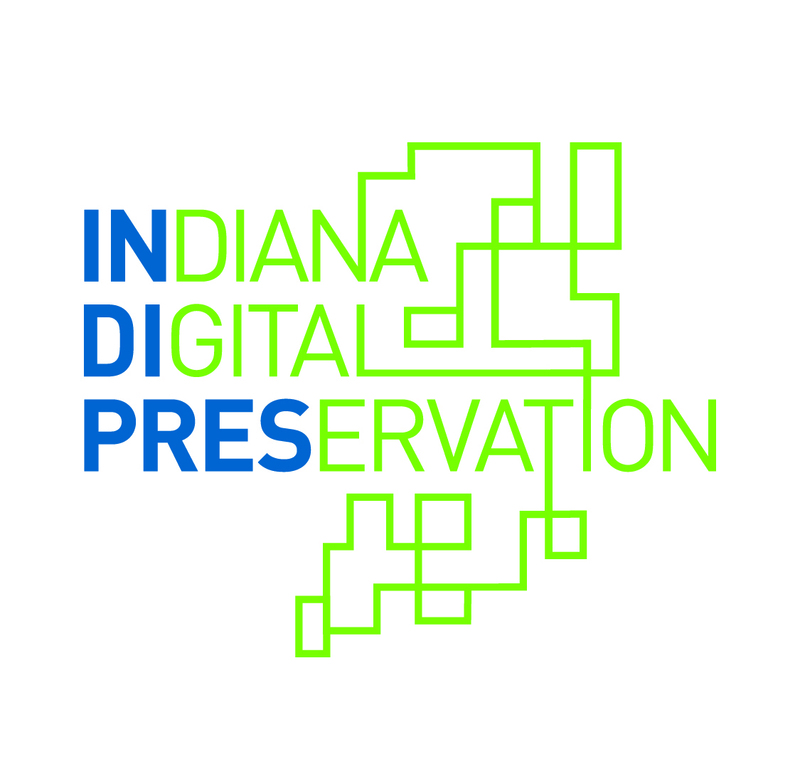 Membership in InDiPres is open to any Indiana institution creating digital content whose principles and guidelines are consistent with those of Indiana Digital Preservation. This includes, but is not limited to libraries, archives, museums, historical societies, community groups, research centers and state and local government agencies. The 2016-2017 LSTA Special Digitization Project Grant included funding to hire a metadata specialist to work with InDiPres partners to perform necessary data wrangling tasks and preparation for the ingest of content into the MetaArchive Preservation Network. To date more than 656 GB of digital files created by InDiPres members are stored within the network. Indiana Digital Preservation will celebrate its first anniversary at a meeting of its membership on Wednesday, Sept. 20, 2017. This meeting, which is open to the public, will take place at the Indiana State Library from 1-4 p.m. For more information about how to join InDiPres please contact Connie Rendfeld via email or at (317) 232-3694. 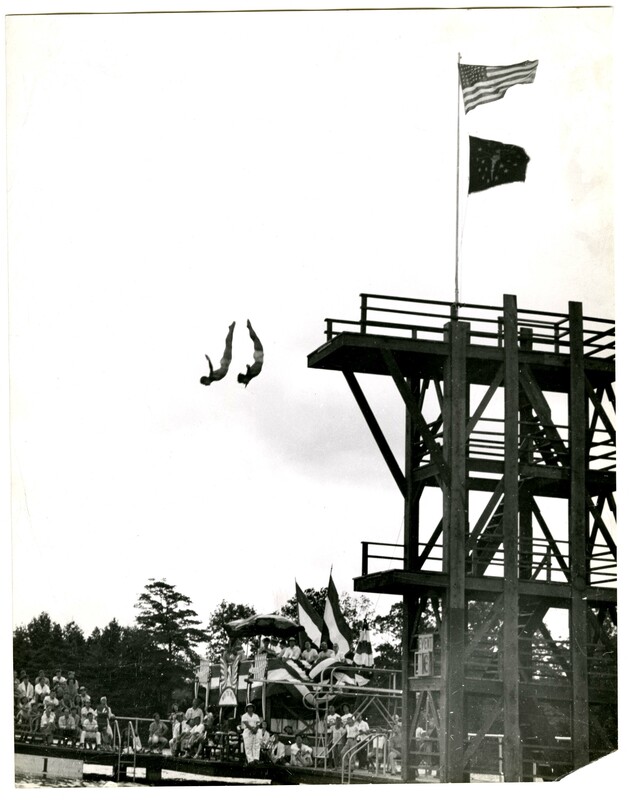 This blog post was written by Cinda May, chair, Special Collections, Cunningham Memorial Library, Indiana State University. 1. MetaArchive Cooperative members storing InDiPres submitted content are: HBCU Library Alliance, Consorci de Biblioteques Universitaries de Catalunya; and the libraries of the University of North Texas, Oregon State University, Purdue University, and Carnegie Mellon University. The second annual Indiana Memory – Digital Public Library of America (IM-DPLA) Fest is set for Sept. 8, 2017 at the Indianapolis Public Library Central Branch. IM-DPLA Fest is a free, one-day conference running from 9:30 a.m. to 4:30 p.m. The fest was created to address topics on digitization and provide networking opportunities for those interested in working on digital projects. Past attendees include representatives from large public universities, public libraries and small cultural organizations. Everyone interested in digitization is welcome to attend. This year’s keynote speaker is Kendra Morgan. She is a senior program manager with the Online Computer Resource Center (OCLC) and the co-author of the recently published report “Advancing the National Digital Platform: The State of Digitization in the US Public and State Libraries.” In addition, there will be several other presentations on topics in digitization. The lightning talks and poster session will highlight different digital projects from around the state. Proposals to participate with a lightning talk or poster session need to be submitted by June 30, 2017. 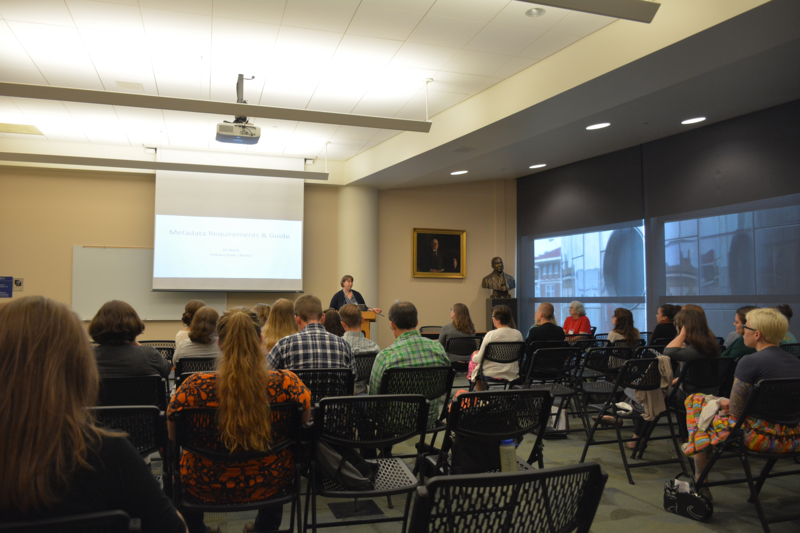 See the IM-DPLA blog for more information about submitting a presentation, lightning talk or poster. 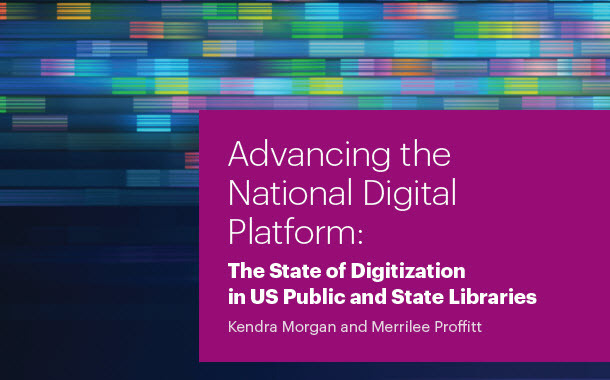 “Advancing the National Digital Platform: The State of Digitization in the US Public and State Libraries,” by Kendra Morgan and Merrilee Proffitt was release in 2017. It can be downloaded as a free pdf from the OCLC website. Registration, and a more detailed schedule, will be announced at a later date on the IM-DPLA blog. So, whether you’re a seasoned digital veteran or just dreaming of acquiring your first flatbed scanner, we look forward to seeing you at the 2017 IM-DPLA Fest! This blog post by Jill A. Black, a library technician with the Indiana Memory Project. For more information contact the Library Development Office (317) 232-3697 or ldo@library.in.gov. This article originally appeared in the December 24, 2014 issue of the Wednesday Word. For the fourth installment of this five part December series, I sat down and had a conversation with Genealogy Librarian Crystal Ward. 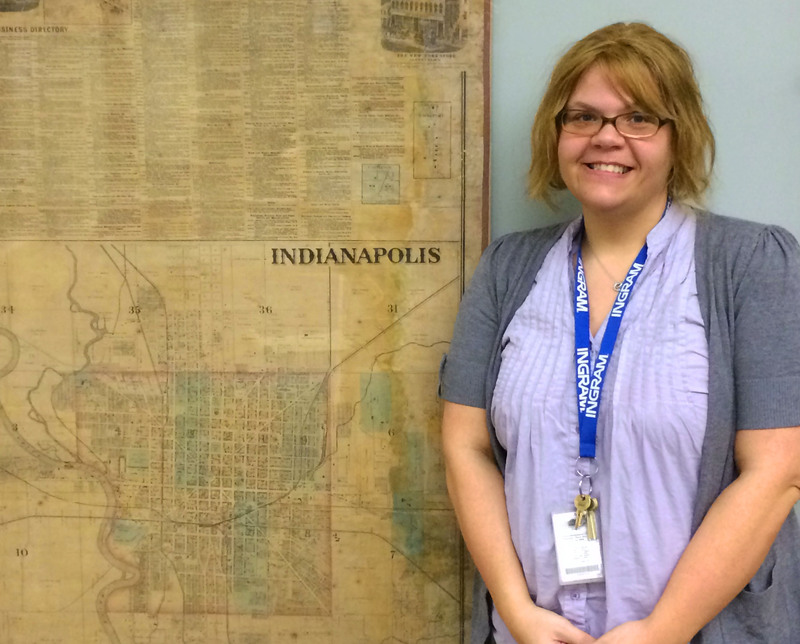 Genealogy is a huge part of the services that the Indiana State Library provides, and Crystal was more than happy to talk about all of the interesting artifacts in the ISL collection. RB: Tell me about how you came to ISL, and what made you want to become a librarian in the first place? CW: I started out working in libraries. In high school I was a page at the Haughville Branch, and then I worked at several libraries. I worked at academic libraries, the Indianapolis Museum of Art and Marion County Jail Library, so I’m used to working with the public doing reference work. When I saw the job listing for ISL I thought, “Oh that sounds very interesting.” I had done my own genealogy, so it was kind of a hobby to start with. When I had seen the position I thought, “Oh I can do that!” So I applied, and that is how I ended up here. When I was working in high school I never thought that I would be a librarian. I just needed some money to get a car and all that stuff.